Chiropractor Torrance: How Can A Chiropractor Help With My Back Pain? 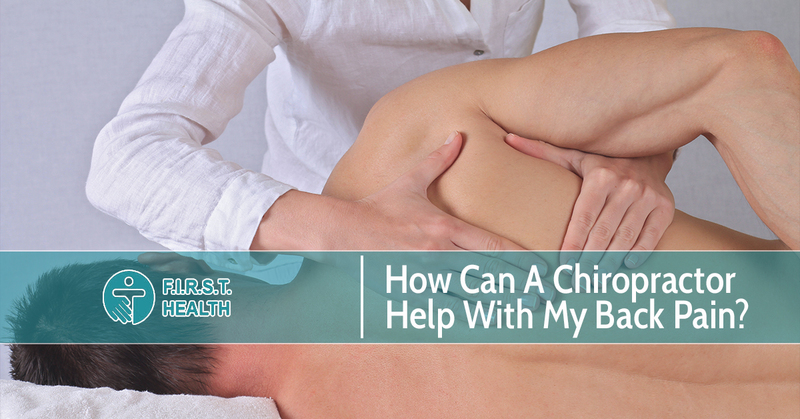 How Can A Chiropractor Help With My Back Pain? Did you know that roughly 22 million people visit the chiropractor annually? Of these visits, thirty-five percent of people are seeking relief from back pain that have been caused by accidents, sports injuries, or muscle strains. At F.I.R.S.T Health in Torrance, we’ve successfully helped hundreds of children and adults suffering from back pain relieve their symptoms through our specialized rehabilitation and chiropractic treatments. If you’re trying to decide whether or not visiting a chiropractor can help with your back pain, consider the benefits below. Regular chiropractic treatments typically focus on spinal manipulation and alignments to ease pain and to stimulate the body’s amazing self-healing abilities. Depending on the type of chiropractic care you need, your treatment plan may involve one or more manual adjustments. Using a controlled, sudden force, your chiropractor will work to improve the overall range and quality of your spine. When a chiropractor realigns your spine, it reduces the amount of pressure on your central nervous system which can help to reduce discomfort from pain or headaches. A common method many chiropractors use to treat back pain is called spinal manipulation, also known as spinal adjustments. This unique technique helps to realign the spine and its surrounding muscles without the need for surgical intervention. During a spinal manipulation, a chiropractor will apply pressure to your spine either by hand or with a special instrument. By realigning your vertebrae, also known as subluxation, a chiropractor will work to reduce pressure along your spine, giving it the proper space it needs to bend and flex without pain. If you suffer from back pain and are looking for a chiropractic facility in Torrance, contact the chiropractors at F.I.R.S.T Health today!